MEATLOAF! Anybody? No…well...in case you have been living under a rock since 1977, search for Bat out of Hell. You will thank me later. Speed & Strength is bringing us the Cat Out’a Hell 2.0. Yes, I know it is not quite a bat out of hell but come on! 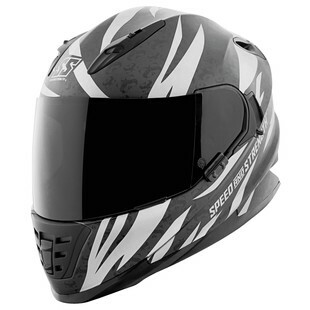 I am sure you are all familiar with the Speed and Strength SS1600 by now but just in case you are not, this helmet comes with a Cool-Core removable, washable and moisture wicking liner. The helmet also features a DVD Drop Visor Design is included for sun protection and an optically correct, anti-scratch, anti-fog and UV resistant clear faceshield. Furthermore, this helmet is DOT and ECE certified. The Speed and Strength Cat Out’a Hell 2.0 Helmet will be offered in a Red/Gold, White/Silver, and a Black Silver and should be available in this Fall.